"A long time ago, Brian and I went to the Allen & Company retreat and I remember listening to a panel of industry leaders of the moment, angst-ing over technology. It was TIVO or VHS, maybe. They were struggling over delivery systems, budget allotments and expectations. We both looked at each other, realizing the same thing at the same moment. Isn't it great that all we do is tell stories? We just create content. We have to be aware of the other stuff, mainly to be opportunistic. Even though the economics of the business are challenging right now, the way that stories get delivered and the types of stories that get told is broadening. So Brian and I feel this is a most exciting time." 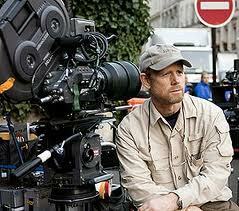 --Filmmaker Ron Howard in an interview with Deadline.com. Howard and Brian Grazer are partners in Imagine Entertainment, which is celebrating 25 years in business. Their latest and highly ambitious project is an adaptation of Stephen King's Dark Tower series into a combined film trilogy and limited-run TV series. 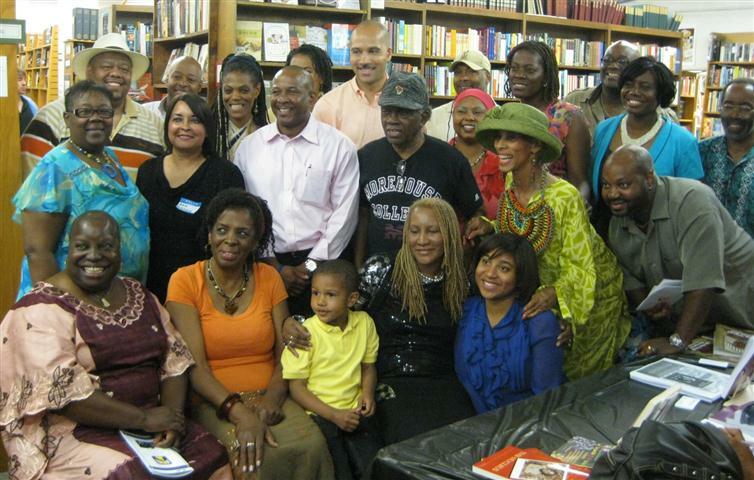 Last week, Magers & Quinn Booksellers, Minneapolis, Minn., hosted what it called the first-ever African American Author Fair at which 100 fans met and mingled with 18 Twin Cities authors. Organizer Shatona Groves of the Black Parent Group (in photo, standing at right, in blue) said, "I'm overwhelmed by the community's support." David Enyeart, event coordinator at Magers & Quinn, called the event "more like a lively party than a traditional reading." 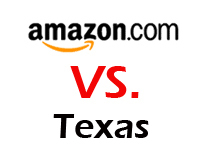 In a new twist to what has been a standoff regarding $269 million in sales taxes that Texas claims it is owed (Shelf Awareness, February 11, 2011), state officials and Amazon are discussing a proposal "that would see the online retail giant promise to bring more than 5,000 jobs and $300 million in the state over the next three years. In exchange, lawmakers would have to grant Amazon a 4½-year exemption from collecting tax on online sales in Texas," according to the Austin American-Statesman. Mark Miner, a spokesman for Governor Rick Perry, said the governor "is always working to create jobs in Texas, and he supports any kind of legislation that would accomplish that goal. His focus has always been on the Texas economy and creating jobs in this state. He's always talking to companies in Texas that want to expand, or companies outside of Texas who might want to locate here." Paul Misener, Amazon's v-p of global public policy, said the company would "support legislation, similar to law enacted elsewhere, that would allow us to bring Texas new jobs and investment." But Ronnie Volkening, president and CEO of the Texas Retailers Association, called the proposal "a Hail Mary attempt" by Amazon and said his group "certainly opposes this eleventh-hour proposal, and we hope and believe the Texas Legislature will continue to stand with Texas main street retailers." The Lone Star Report noted that "it appears this proposal is exactly that--a proposal. When LSR asked Rep. John Otto (R-Dayton) about the status of negotiations over the sales tax nexus provision on SB 1, he replied that no one was negotiating with him." News of the proposal also brought a quick response from the Alliance for Main Street Fairness. "Attempts by Amazon.com to get special treatment from Texas lawmakers should have every business owner and taxpayer outraged," said spokesman Eric Bearse. "Main Street businesses are calling on elected officials to stand with Texas employees and employers over a company whose entire business model is based on tax evasion. Texans will not stand by and let the government give preferential treatment to one out-of-state company that gives it an advantage over existing Texas businesses." 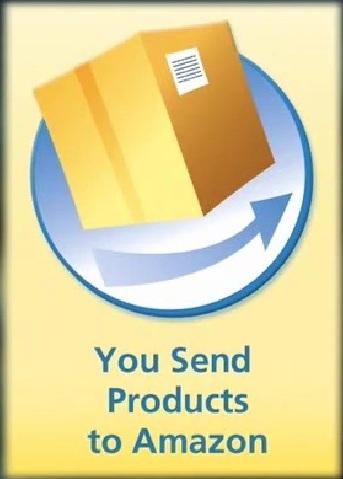 Last week, online booksellers using the Fulfillment by Amazon service discovered they must now ship all FBA inventory to the company's warehouse in Breiningsville, Pa. AuctionBytes reported that this development "is bad news for West Coast and Midwest sellers, since they'll pay more in shipping costs and it will take longer for their inventory to arrive at Amazon's distribution center. The news comes not long after FBA sellers received news of a new weight-based long-term storage fee for items stored over 365 days. A seller said about 6-9 months ago, Amazon had begun requiring Amazon Advantage sellers to ship to the Pennsylvania warehouse too." Although the FBA requirement currently affects new shipments, "booksellers are concerned they could be forced to send inventory already stored in other Amazon warehouses to Pennsylvania," AuctionBytes noted. The Kindle Million Club has its first self-published member. 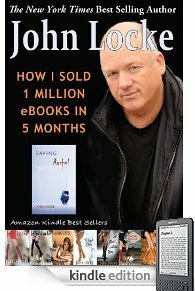 Using the Kindle Direct Publishing program, John Locke, author most recently (and appropriately) of How I Sold 1 Million eBooks in 5 Months, became the eighth writer to sell more than a million Kindle books. His novels include Vegas Moon, Wish List, A Girl Like You, Follow the Stone and Don't Poke the Bear! The sale of Whitcoulls and Borders stores in New Zealand by bankrupt REDgroup Retail to the James Pascoe Group (Shelf Awareness, May 27, 2011) has been completed. The new owners wound up buying 64 stores, two more than previously announced. (Three earthquake-damaged Whitcoulls in Christchurch and three other Whitcoulls stores were not included in the original deal.) They have retained most employees and plan to rebrand the five Borders stores as Whitcoulls. 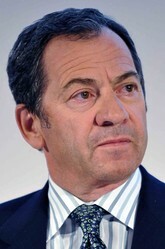 Pascoe named Ian Draper, a former Pascoe head, managing director of Whitcoulls. Pascoe said (via 3news): "The challenge is to make the Whitcoulls business and its product offering relevant and desirable, to refresh the stores, re-motivate, listen to and involve its team members, so as to make Whitcoulls a store that all New Zealanders can feel part of and proud of." Today's Wall Street Journal offers a closer look at Jahm Najafi and Alec Gores, the "veteran investors involved in competing talks" to purchase Borders Group. Gores's plan would save approximately 250 retail locations, "which he intends to revamp into more appealing destinations akin to Apple Inc.'s outlets," the Journal wrote. Gores Group "would also emphasize developing a more robust online business for Borders." 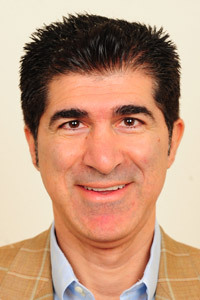 While Najafi "has a patient attitude toward the company's digital businesses," he "could bolster his book clubs [Book-of-the-Month Club, the Doubleday Book Club] by tapping the more than 43 million Borders customers who are members of the chain's rewards programs and put outposts in the chain's stores," the Journal noted, adding that he "believes Borders has a strong brand that retains an attractive base of customers Borders can build on by providing them with additional goods and services." 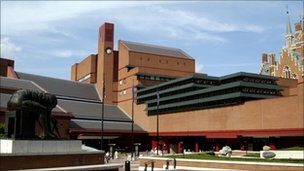 The British Library reached a deal with Google regarding 250,000 texts dating back to the 18th century, which "will allow readers to view, search and copy the out-of-copyright works at no charge on both the library and Google books websites," BBC News reported, adding that the "works selected to be digitized date from between 1700 and 1870, and the project will take some years to complete, with Google covering the costs of digitizing." Dame Lynne Brindley, the library's chief executive, cited historical precedent for the arrangement, calling it an extension of the institution's 19th-century ambition to provide access to knowledge to everyone: "The way of doing it then was to buy books from the entire world and to make them available in reading rooms. We... believe that we are building on this proud tradition of giving access to anyone, anywhere and at any time. Our aim is to provide perpetual access to this historical material, and we hope that our collections coupled with Google's know-how will enable us to achieve this aim." 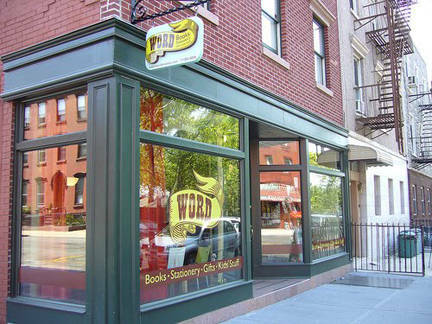 Cool idea of the day: the amazing booksellers at WORD, Brooklyn, N.Y. (likely with more creativity and energy per capita than any other bookstore) are hosting the first of a new monthly series, Literary Karaoke, on Friday, July 15. This first iteration has the theme "greatest hits of the '90s." Participants are given three minutes to read a favorite passage from a book published between 1990 and 1999 that will "surprise and delight the crowd." As the store wrote: "It's better than waiting for a back room at Sing-Sing to belt Pat Benatar." Craig Popelars, director of marketing at Algonquin Books, shared a milestone moment for the publisher and an indie bookseller in Vermont: "This might go down as the greatest handselling feat in the history of Algonquin. Northshire Bookstore, thanks to bookseller extraordinaire Karen Frank, has now handsold 1,000 copies of Breakfast with Buddha by Roland Merullo." German bookseller Thalia is "adding a chain of travel bookshops to its existing portfolio of close to 300 specialist bookshops and the online shop Thalia.de," the Bookseller reported. Thalia is exploring possible locations in airports, stations and other "highly frequented traffic hubs" in Germany, Switzerland and Austria for the shops, which will be up to 1,200 square feet and carry 2,200, primarily paperback titles. "He has never been known to use a word that might send a reader to the dictionary," William Faulkner once said of Ernest Hemingway. Flavorwire featured the 30 harshest author-on-author insults in history, including Mr. Hemingway's retort: "Poor Faulkner. Does he really think big emotions come from big words?" "Who gets hurt when a purported work of nonfiction turns out to be fake or to contain fictional elements?" asked Ian Crouch on the New Yorker's Book Bench blog in his examination of another class-action lawsuit brought against Three Cups of Tea author Greg Mortenson. Crouch suggested that a better question might be: Who benefits? "A look at the case reminds us of the other group of people who gain from fictionalized memoirs: lawyers who bring the cases. The history of literary jurisprudence is endlessly engrossing; see the United States v. One Book Called Ulysses, the Lady Chatterley's Lover case in Britain, and the Ginsberg Howl obscenity trial, to name just a few modern examples. Judges and juries ruling on the various qualities of books may strike us as odd, and perhaps even dangerous--especially weighing the various merits of fact and fiction--but literature and the law are natural companions, in that they both center on the meaning of words and interpretation of text." Test your Wimbledon lit IQ. To celebrate the beginning of two weeks on the grass courts and to "pass the time while rain stops play," the Guardian featured a tennis in literature quiz. "Haec est Olivia. Perita est multarum rerum." That's the opening sentence to the Latin edition of Ian Falconer’s Olivia, one of "10 modern classics that might make Latin class more fun," Mental Floss suggested. Decorate your home with Fake Books. Flavorwire featured the work of Italian artist Emanuela Ligabue, who "paints plain wooden blocks with simple, elegant designs to turn them into books of her own imagining, which we think would look beautiful on a coffee table, in a kitchen, or hey--even cozied up next to those relics you call real books." Independent Booksellers' Week in the U.K. Independent Booksellers' Week, currently being celebrated in the U.K., is part of the IndieBound.org.uk campaign for "promoting indie bookshops, great books, strong reading communities, and the idea of shopping locally and sustainably." The Guardian noted that as IBW "comes around again, our lovely Flickr group is reaching out to Bristol, Penrith and even San Francisco.... Anybody know any good bookshops in Paris? Or Cologne? Or Düsseldorf? Or Bogotá?" For the camera-challenged, "we're building a tweet map of our book-buying hive mind. Just tweet us @guardianbooks with the title of the book you've bought, the name and postcode of the bookshop where you bought it and the hashtag #indybooks, and we'll assemble a map of independent action." The Booksellers Association said that 262 indies (up from 251 last year) will host events this week "to help publicize their businesses and form closer links with authors and publishers," culminating Saturday with National Reading Group Day, "a new initiative which will encourage booksellers to organize their own Reading Group Day or partner with other organizations such as local libraries, to create a lively reading group initiative," the Bookseller reported. Today on NPR's Fresh Air: Jessica Goodell, author of Shade It Black: Death and After in Iraq (Casemate, $24.95, 9781612000015). Today on NPR's Here and Now: Eleanor Henderson, author of Ten Thousand Saints: A Novel (Ecco, $26.99, 9780062021021). Tomorrow on NPR's Diane Rehm Show: Eva Gabrielsson, author of "There Are Things I Want You to Know" about Stieg Larsson and Me (Seven Stories Press, $23.95, 9781609803636). Tomorrow on the Daily Show: Mitchell Zuckoff, author of Lost in Shangri-La: A True Story of Survival, Adventure, and the Most Incredible Rescue Mission of World War II (Harper, $26.99, 9780061988349). Tomorrow on Late Night with Jimmy Fallon: Bob Mould, author of See a Little Light: The Trail of Rage and Melody (Little, Brown, $24.99, 9780316045087). For fans of Charlaine Harris's vampire novels who might need a quick refresher course before True Blood's season four premiere this Sunday, HBO has released a video recap "to help catch us all up on what has gone down over the previous seasons," the Hollywood Reporter wrote. Evangeline Lilly (Lost) and Barry Humphries have been added to the cast of the film version of J.R.R. Tolkien's The Hobbit. On his Facebook page, director Peter Jackson wrote: "We've finished our first block of shooting and moved straight into location scouting. More on that soon... But today, I'm thrilled to announce two new cast members who will be joining us for our second block of shooting." Lilly will play the Woodland Elf, Tauriel, a new character. "Her name means 'daughter of Mirkwood' and, beyond that, we must leave you guessing!" 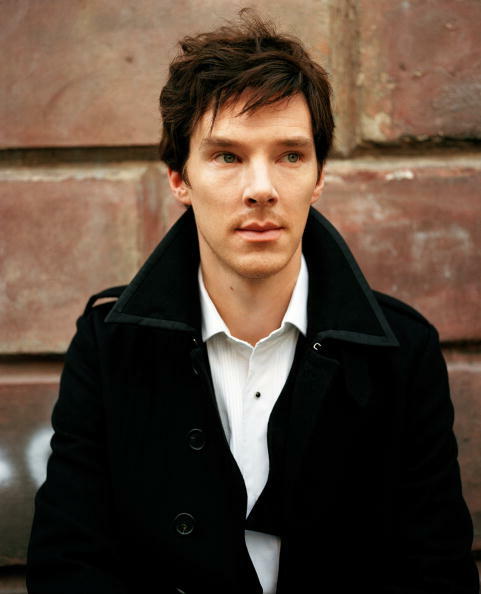 Jackson noted, adding: "I'm also highly excited that Barry Humphries will be portraying the Goblin King, in much the way Andy Serkis created Gollum.... Evangeline and Barry, along with Welsh actor Luke Evans as Bard and Benedict Cumberbatch (l.) as Smaug, just about rounds out the major casting. I cannot wait to get stuck into these new scenes!" 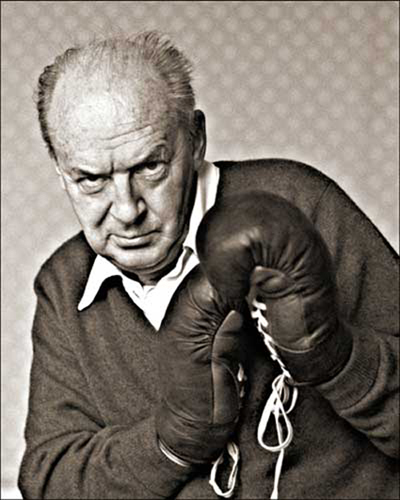 Whitney Frick, an associate editor at Scribner, has won the first Ashmead Award, founded in honor of legendary editor Larry Ashmead, who died last year. On behalf of the selection committee, Brenda Segel, senior v-p of rights at HarperCollins, commented: "Whitney has all the qualities that Larry would have loved. She cares deeply about her authors and, even in the early stages of her career, has shown great acumen and passion for the book publishing business." As part of the award, Frick will attend the Yale Publishing Course next month and have access to an advisory committee of book editors. Frick began her publishing career in 2006 as Scribner publisher Susan Moldow's assistant and has been an associate editor since 2008. Andrea Levy won the £25,000 (US$40,433) Walter Scott Prize for historical fiction for her novel The Long Song, BBC News reported. "Fiction can, and must, step in where historians cannot go because of the rigor of their discipline," said Levy. "Fiction can breathe life into our lost or forgotten histories. My subject matter has always been key to what and why I write--the shared history of Britain and those Caribbean islands of my heritage. So lastly I would like to remember all those once-enslaved people of the Caribbean who helped to make us all what we are today." The judges praised The Long Song as a "celebration of the triumphant human spirit in times of great adversity. Andrea Levy brings to this story such personal understanding and imaginative depth that her characters leap from the page, with all the resilience, humor and complexity of real people." Middle School, The Worst Years of My Life by James Patterson, Laura Park and Chris Tebbetts (Little, Brown, $15.99, 9780316101875) follows a young student purposefully trying to break all the rules in his school's code of conduct. Now You See Her by James Patterson and Michael Ledwidge (Little, Brown, $27.99, 9780316036214) returns a New York lawyer to a dangerous Florida past she fled decades ago. How the Hippies Saved Physics: Science, Counterculture, and the Quantum Revival by David Kaiser (Norton, $26.95, 9780393076363) explains how the stagnant field of physics in the 1970s was revitalized by psychedelic speculation. Before Versailles: A Novel of Louis XIV by Karleen Koen (Crown, $26, 9780307716576) is historical fiction about the young French king set during several months in 1661. Paris to the Past: Traveling Through French History by Train by Ina Caro (Norton, $27.95, 9780393078947) explores the greatest French historical sites within a day's train ride of Paris. If you're searching for a gift for that student who is ending her academic career or about to take a job in a strange new city, you could do worse than this modest, idiosyncratic version of an urban survival manual. According to his collaborator, Sheila Heti, The Chairs Are Where the People Go is an attempt to capture everything Misha Glouberman, a Canadian "instructor in improvised music and theater," knows. On the evidence of what's contained here, this slim volume only scratches the surface of his fertile mind. The book offers 71 short selections on an eclectic assortment of topics, from an imaginative and highly satisfying solution to the conundrum of whether to give up a seat on a crowded subway to helpful tips for making new friends as an adult to a unique method of quitting smoking (it involves wearing a suit). Glouberman is consistently reasonable, self-effacing and creative as he poses at least tentative solutions to these dilemmas, while discoursing on thornier and more abstract subjects, like whether monogamy is a trick or how we might go about creating meaningful ritual to serve a secular society. One of the lengthiest pieces, and among the most useful, recounts the story of how Glouberman and the members of his Toronto resident's association fended off the expansion of an already noisy neighborhood bar. It's a miniature handbook on the power of community organizing, and perhaps more importantly, on the art of effective political compromise. His exploration of the paradoxical status of being a Canadian at Harvard ("But in Canada, if you went to Harvard, it's just sort of a weird novelty... like that you're a member of Mensa or you have an extra thumb.") offers some useful insights on the role that institution occupies in any analysis of class in American society. If you are not a fan of the game of charades or don't participate in courses on improvisation, you may find this volume a bit skewed toward those topics. But even the frothier pieces contain small gems of wisdom, like this advice to students who don't feel up to attending one of his classes: "If I can convince them to come to the class, they inevitably overcome their self-diagnosed state of not being in the right mood for it." The suggestions on how to conduct what he calls an "unconference" might be studied profitably by legions of burned-out meeting planners. Shelf Talker: Improvisation expert Misha Glouberman offers thoughtful and entertaining glimpses into solving a few of the conundrums of modern urban life.